﻿ Kaymet | not tom. 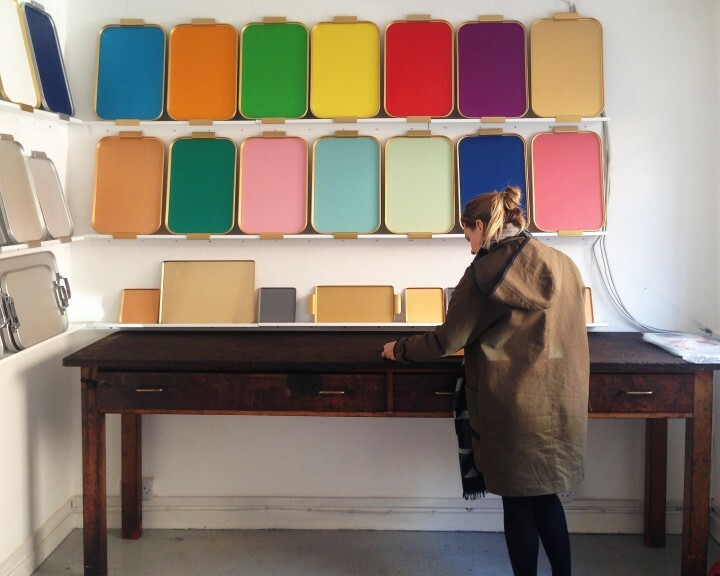 We’ve had our eye on Kaymet’s beautiful trays for a while now and knowing that their factory was just down the road from us in Peckham we thought it was about time we gave them a visit. 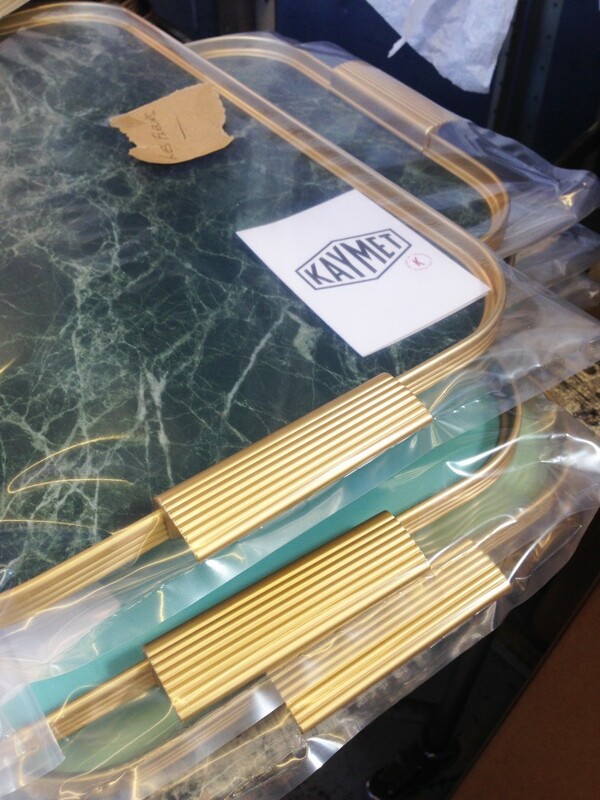 Kaymet have been proudly hand making trolleys and trays in their South London factory for nearly 60 years! We love their simple, classic designs and think that their products are looking as fresh as ever. 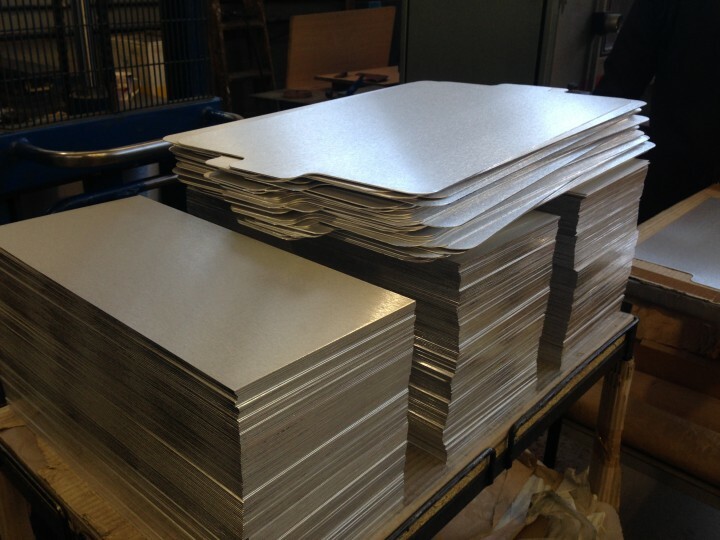 The trays start their life as flat sheets of aluminium. 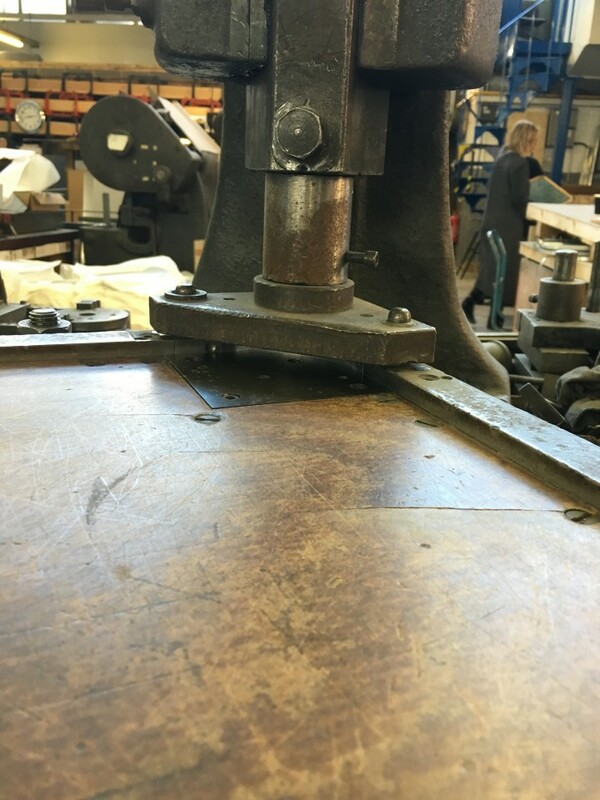 Corners are trimmed and rounded using original pieces of machinery. The process is very simple and seems it hasn’t changed in the 50+ years the factory has been running. As they say if it’s not broken, why fix it?! 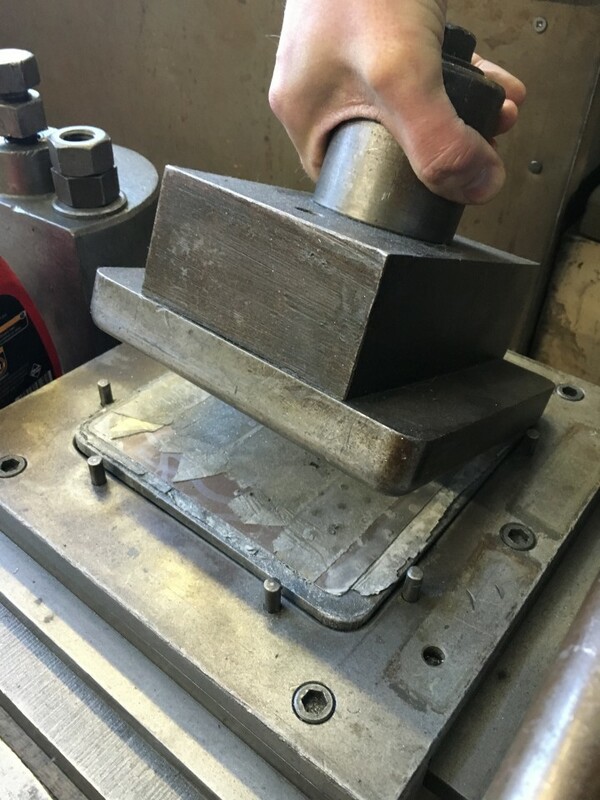 Once trimmed the trays are pressed into their 3D form using these super solid press tools. We were impressed by this mighty spanner! 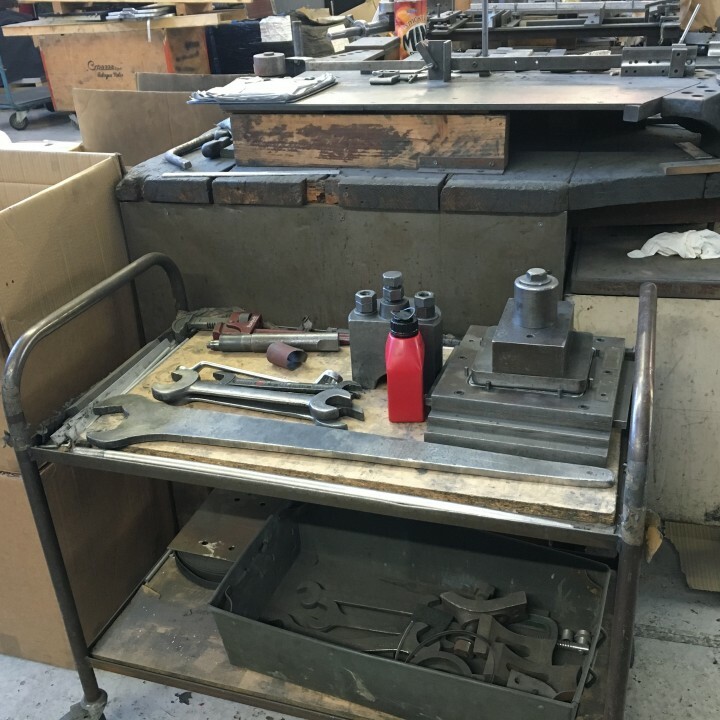 It’s used to change the parts on the pressing machine. 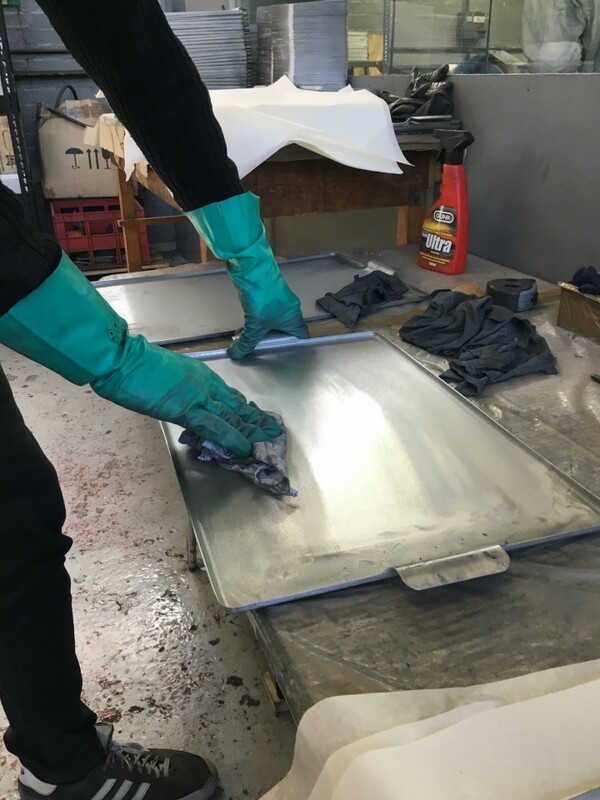 The trays need to be cleaned up and degreased before any sharp edges can be removed by an electric sander. This is all done by hand by skilled workers to create a really clean neat finish. 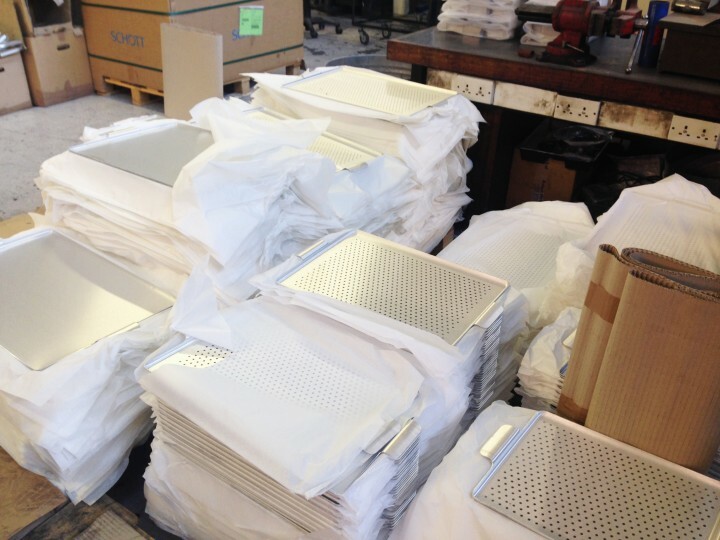 Lovely, pristine, shiny trays all ready to be packed up and shipped off to high-end department stores and some lucky owners. 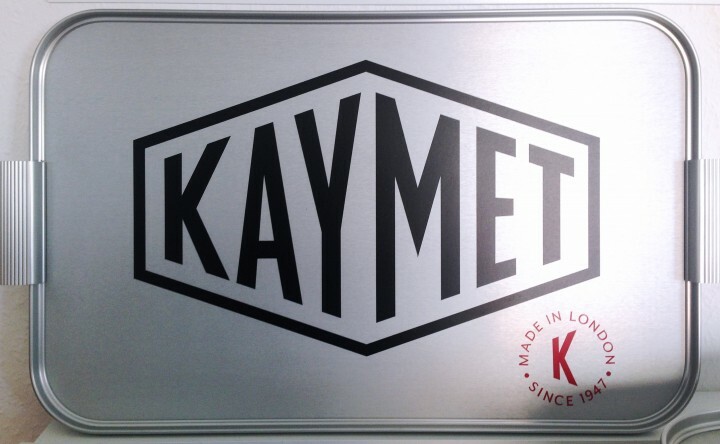 Alongside their trays, Kaymet also produce trollies out of their South London factory. 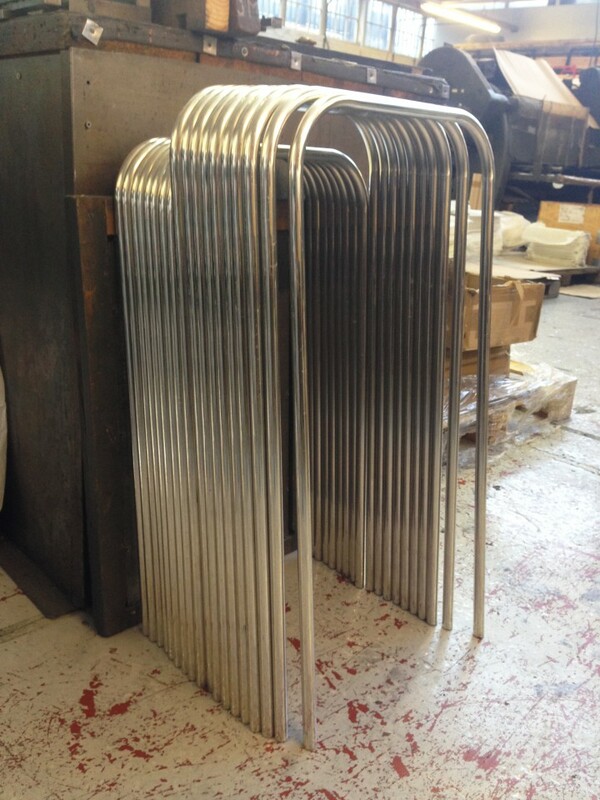 Here’s some bent tubing ready to be made into push handles. Some of the trays produced have a classic style, ribbed aluminium edging attached. This is made from extruded, bent aluminium in a gold or silver finish and is attached onto the tray base. 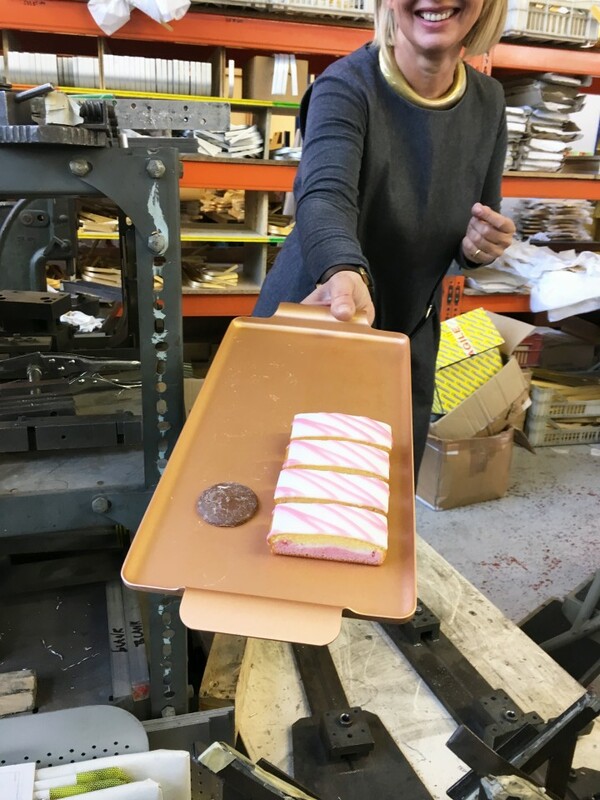 Infills of many different patterns can be inserted into this style of tray creating an individual look for each product. 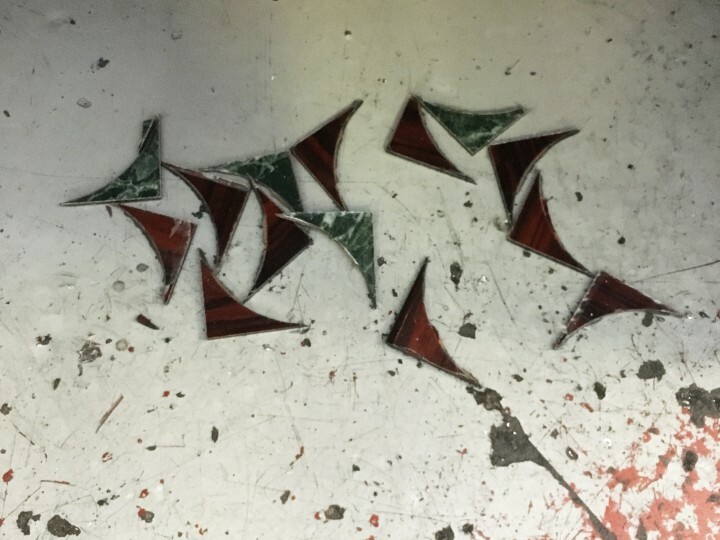 By using original processes and machinery and making nearly every part of the tray by hand the number of designs that Kaymet can produce has been restricted over the years. 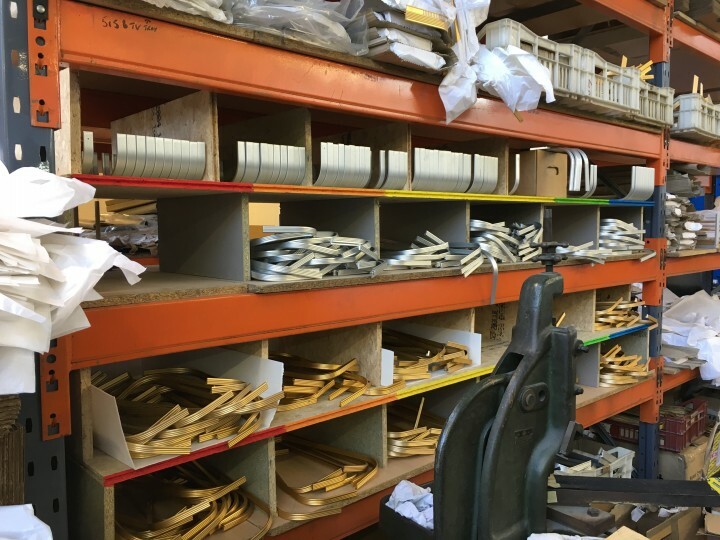 It appears this limitation is more of a help than a hindrance in ensuring that the factory keep to their simple, well loved design and that Kaymet trays remain a design classic. A slight adaptation in materials or the addition of a sleek powder-coated tray insert keeps the product up to date and desirable.